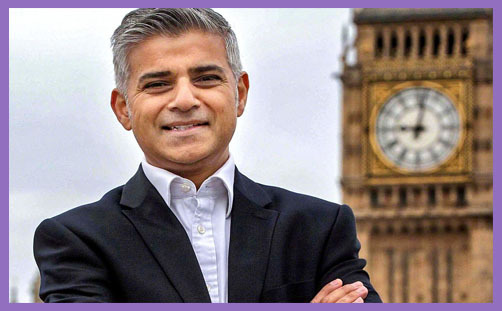 Sadiq Khan has been elected the first Muslim mayor of London. Muslim, Muslim, Muslim. Islam, Islam, Islam. The council-estate sons and daughters of Pakistani bus drivers are taking over and spreading their insidious fundamentalism far and wide. Londonistan looms. It’s a “nail in the coffin” for Britain. Quick, say a prayer beneath the dome of St Paul’s before it gets converted into a mosque and burqa-clad women occupy Pasternoster Square demanding that it be renamed after Mohammed. Prophet Square. It’s coming soon to a public space near you. Allah has decreed it. Mohammed has shown the way. Mayor Khan will implement it after he prevents all women from travelling more than 48 miles on the Underground without a male chaperone. If you believe the media focus of this mayoral campaign, Sadiq Khan is dangerous not because of his unfunded socialist policies, but because he is a radical Muslim who shares platforms with Islamists and refers to ‘moderate’ Muslims as ‘Uncle Toms’. The aggression against him was poisonous, even deploying images of the 7/7 London bombings to associate him with murder and terrorism. The cultural stereotype became the Conservative dog-whistle strategy. It wasn’t quite racist, but it certainly sought to capitalise on current anti-Muslim sentiment. You can bash Muslims for being Muslims, or you can sit down and talk to them. You can hurl insults and spread fear, or you can break bread together and commune over shared hopes and common concerns. It’s important to do this because Muslims aren’t going anywhere. Those sons and daughters of Pakistani bus drivers are now sitting in the Cabinet and running whole cities. And they have babies. And those babies will grow up and have more babies. Muslims are politically engaged, standing for public office, and winning. They are people, not pariahs. Either you respect and support the liberal democracy and egalitarian justice which permits men and women of all religions to stand for public office, or you allow your anti-Muslim prejudice to ripen into an anti-democratic demand for a Muslim-free political space of orthodox secularity. Consider how Roman Catholics and Jews must have felt about the historic inculcation of fears about the dangers of Catholicism and Judaism. Even while the majority promoted civic humanist virtues as part of a conception of the good life, all were suspected of treason, treachery, sedition and subversion. Faith-based prejudice has no place in a truly Christian polity. If we do not love our Muslim neighbours, we are not living the gospel in our pluralist parish. We should not judge them by their religion or beliefs, but by their words and actions. Sadiq Khan wants to house the homeless, crack down on rickshaws, freeze transport fares and turn Oxford Street into a tree-lined pedestrianised paradise from Tottenham Court Road to Marble Arch. Judge him by his manifesto pledges and his failures to fulfil, not by those with whom he associated as a Human Rights barrister. If you object to him because of his faith, you seek to revive a form of Test Act and thereby evince suspicion upon all who hold conservative religious views. You seek to dissuade immigrant Muslims and their descendants from that very participation in public life by which they may be integrated into the unifying national project for the collective good. British Muslims are not the enemy, any more than are thousands of British atheists, Hasidic Jews or urban gays. The overwhelming majority want to participate in society and embrace the pervasive culture. All that they ask is the freedom to worship. A few may dispute our liberal principles with their fanatical fatwas of hate, but let us not overstate the rhetoric of objection or exaggerate the adherence. And let us not smear every Muslim with the same brush of national betrayal. Ethnic and religious diversity is intrinsic to and inseparable from liberty and autonomy. We may justifiably constrain it by the imposition of linguistic and institutional cohesion, but not by fomenting the fear that by electing a Muslim Mayor of London our trains are about to be bombed, our cartoonists shot and our daughters raped. Christians are called to love: we must work diligently for peace and reconciliation. it is our responsibility and a vocation. Sadiq Khan is a Muslim. Lots of people are. Get over it.